Greenhouse Fabrics has always been built by and for family. We’re always delighted to meet fellow lovers of beautiful fabrics, and we won’t rest until we’ve given them everything they need to thrive. Sometimes that means bringing a fabric sample directly to someone’s door at the end of a long business day, because they absolutely must have it that night. Sometimes it means sifting through hundreds of samples to find just the right match for a restoration project. Sometimes it simply means knowing every one of our customers’ tastes so well that when we see a new sample we think, “Oh, I know just who in our Greenhouse family would love that,” and give them a call right away. We live, sleep, and breathe the business of beautiful fabrics, but more importantly, we care about the success of our customers. We want them to be happy. We want to see their faces light up when we show them just what they’ve been looking for. And we’ll always go above and beyond the call to help them out of a tight spot. Every month, you’ll see new samples from us – we can’t wait to show you the latest in fabrics. You can always pick up the phone and talk directly to the Greenhouse family, and we’ll do whatever we can to make sure every fabric you order from us is exactly what you wanted. If your travels ever bring you to High Point, NC, please come in and join the family for a cold drink and our favorite discussion topic: gorgeous fabrics. Where did we develop this unique approach to our business? It’s a legacy handed down by our great-grandfather Arnold Bjork, whom we fondly called “Mr. B.” He founded this company four generations ago to support his mother and sisters, and his great-grandchildren carry on his philosophy of treating every one of our customers as one of our own family. The right fabric can really tie the entire room together – at least that’s our philosophy on things. That’s why we’ve been offering first-quality designer fabrics to our customers since 1975. Here at 1502 Fabrics, we want your imagination and your vision to be unstoppable. When you’re in the market for furniture fabric, drapery fabric, bedding fabric, or pillow fabric, look no further than our vast selection. We’re one of the largest fabric stores in the country – and our 50,000 square foot showroom certainly speaks to that! We’re striving to bring our fabulous fabrics to as wide an audience as possible. 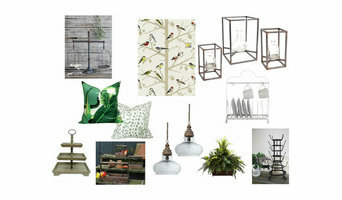 OFFERING BEAUTIFUL PRODUCTS TO CREATE THE HOME YOU ONLY DREAMED OF. 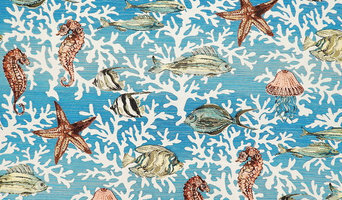 Shop beautiful fabrics, lighting, wallpaper and home accessories. We carry most all high end manufacturers and at prices better than most online shops! Thank you for taking the time to visit our shop. Swanky Fabrics is an online store, a one stop destination for upholstery and draping fabrics. Kristi is the founder and designer of Swanky Fabrics, a mother of four beautiful children. Ever since she was a girl she found great pleasure in brainstorming ideas and watching them come to life. She is a lover of mix-matched patterns, ruffles and lace, and pretty much anything pink. The same passion for design and ideas has lead Kristi to found Swanky Fabrics, a place that will inspire you with designer fabrics that look stunning and also go easy on your pockets. 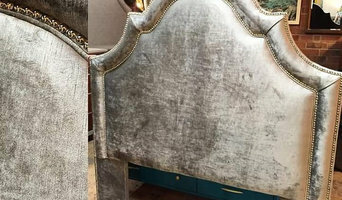 She believes in making a beautiful home rather than looking for a beautiful home and Swanky Fabrics <a rel="nofollow" target="_blank" href="http://homeandstuff.net/upholstery-fabric-give-new-look-old-furniture/">http://homeandstuff.net/upholstery-fabric-give-new-look-old-furniture/</a> does exactly the same, help homeowners make their home beautiful with designer fabrics for upholstery and draping. With the help of Swanky Fabrics homeowners can say who they are without having to speak, as our designer fabrics will speak for them, standing out as a substitute for their lifestyle. The online store of Swanky Fabrics is an exhaustive collection of designer fabrics, categorized by pattern, color, type and brand. The number of choices you can find on the store is immense and there is a design and type for everyone who visits the site. We offer free shipping on US orders of $100 or more. Share the same positivity and enthusiasm Kristi and start each day like it’s your birthday. For more details, visit <a rel="nofollow" target="_blank" href="https://www.swankyfabrics.com/">https://www.swankyfabrics.com/</a> and <a rel="nofollow" target="_blank" href="https://www.swankyfabrics.com/about-swanky-fabrics.html">https://www.swankyfabrics.com/about-swanky-fabrics.html</a>. We are a custom upholstery company dedicated to selling goods made 100% made in the USA. We have been selling locally for 20+ years and online for the last 12 months. It is our mission to provide our customers with the highest quality goods available on the internet and the best customer service in the industry. Right now we are small with 4-6 full time upholsters. We also sell furniture parts and upholstery supplies for converting the style of your room or replacing lost or broken parts. Striving to provide the Best Customer Service, Solving any Furniture or Design needs, with only the Best Quality Product & Workmanship. 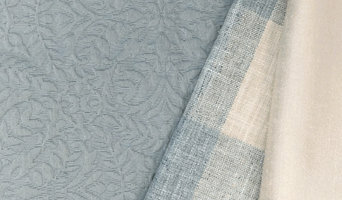 I Come to you with fabric samples from Ralph Lauren, Kravet, Duralee, Greenhouse, Sunbrella, Couture, plus many others. References available. We stand behind our work and materials 100% and we give a lifetime warranty on everything we do. Our customers receive the best materials available on the market. All of my technicians are certified and complete a rigorous training program for refinishing, resurfacing, and reglazing. I know we are not the cheapest in town, but I can promise you the utmost professional service and highest quality of materials that are available in the business. Our business in located in the furniture capital of the world, this gives us unparalleled access to the newest style and product as well as access to great samples and discontinued items. The Interior Alternative is the triad and triangle's premier fabric distributor, providing our customers with the finest textiles at the lowest prices in the industry. With over yards of fabric, including designer fabric in stock, we can meet all of your decorating needs!! Fine antique restoration and conservation. Serving the Triad since 1993. Re-upholstery/upholstery repair includes redoing/outfitting items like chairs and sofas with springs, padding and fabric coverings. This can also include adding fringe, piping, tufting or additional decorative elements to a furniture piece. They can also advise you about the pros and cons of different fabrics so you can choose the best type for the project in your Greensboro home. Find Greensboro furniture repair professionals on Houzz. Narrow your search in the Professionals section of the website to Greensboro, NC furniture repair.